When will be Beetlejuice next episode air date? Is Beetlejuice renewed or cancelled? Where to countdown Beetlejuice air dates? Is Beetlejuice worth watching? Beetlejuice is an American-Canadian animated television series which ran from September 9, 1989 to October 26, 1991 on ABC and, on Fox from September 9, 1991 to December 6, 1991. Loosely based on the 1988 film of the same name, it was developed and executive-produced by the film's director, Tim Burton. 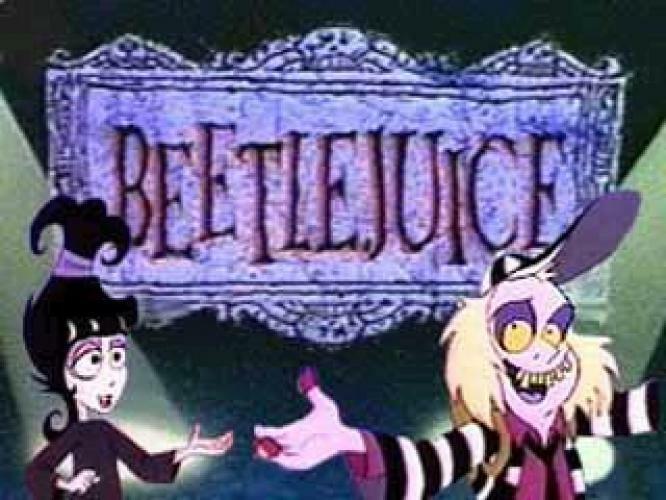 The series focus on the life of Goth girl Lydia Deetz and her undead friend Beetlejuice as they explore The Neitherworld, a wacky afterlife realm inhabited by monsters, ghosts, ghouls and zombies. Danny Elfman's theme for the film was arranged for the cartoon by Elfman himself. Beetlejuice next episode air date provides TVMaze for you. EpisoDate.com is your TV show guide to Countdown Beetlejuice Episode Air Dates and to stay in touch with Beetlejuice next episode Air Date and your others favorite TV Shows. Add the shows you like to a "Watchlist" and let the site take it from there.